SHOOTZ, it’s SCHATZ! . . . Saturday was scorchingly hot, and I was looking to cool down as I left the 2013 Maui County Ag Festival at Maui Tropical Plantation. Near the exit was Shaka Pops, so I ordered a creamy lime-coconut popsicle and found a spot way off the side to enjoy it while waiting for my husband. “Senator, you have me at a disadvantage!” I replied, face as red as the beets in my bag, popsicle dripping and melting all over the place. I spotted the mayor there, too, and reports are more than 8,000 other people attended. Here are the contest results from the Grand Taste Education segment, in which each chef paired with a farmer. I’m hoping these dishes will turn up on menus soon. Winning the Judges Choice Award were Tylun Pang of Fairmont Kea Lani, Maui and Bryan Otani of Otani Farm. Pang dazzled diners by wok-frying Otani’s rainbow carrots in tempura batter and serving them with sweet-soy glaze and furikake and other spices. 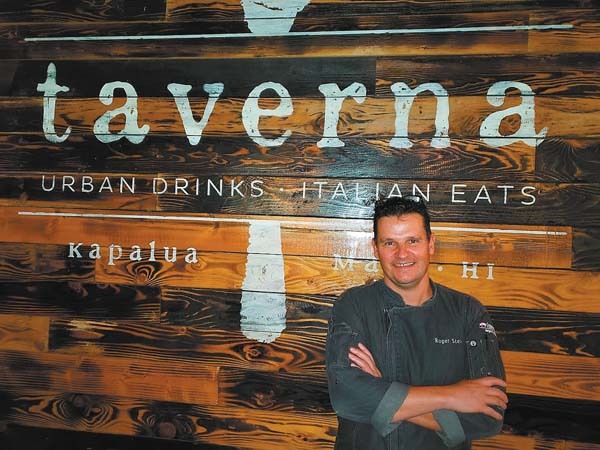 Chef Marc McDowell of Makena Beach & Golf Resort teamed with Grant Schule and Many Vinciguerra of Kumu Farms to win the Fan Favorite for strawberry papaya with baby tomatoes and fresh mozzarella. 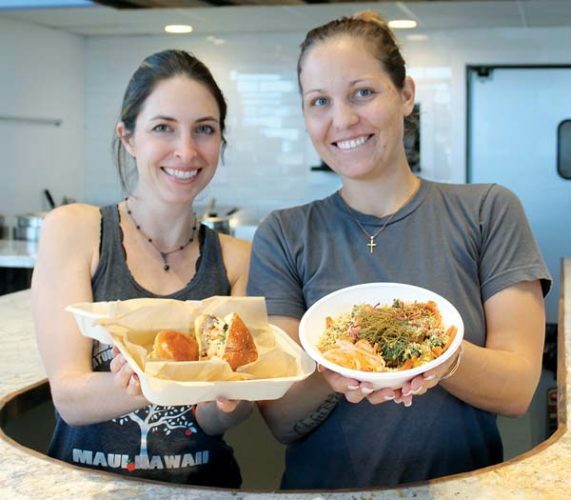 Stephanie Garcia of Mama Isabel’s Organic Salsa won Maui’s Food Product to Market Contest. And, Chef Jojo Vasquez of The Plantation House Restaurant won the Live Top Maui Ag Chef Contest, in which the key ingredient was Maui coffee. BITS AND PIECES . . 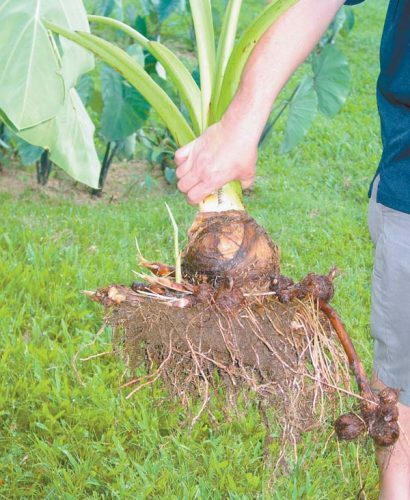 Hot on the heels of the ag fest is Body & Soil farm and health conference today, Friday and Saturday at Maui Tropical Plantation. Enjoy organic breakfasts and lunches, inspiring ag video clips, and talks by diet, farm and health experts. You may register online at www.mauigrown.com or call 242-7870. “Sweet Baby James Taylor and his legendary band will grace the A&B Amphitheater stage this Friday for a night of best-selling hits!” exclaims the MACC’s Food & Beverage Manager Lisa Haole. There’s those Shaka Pops again. Glad the event will be later in the day and into the evening to keep popsicle melting at a minimum. MARK YOUR CALENDARS . . . So many events are coming up, it’s hard to fathom. Westin Maui Resort & Spa will put on a Mother’s Day brunch and concert with performers Anuhea and friends Paula Fuga and Mishka Sunday, May 12. 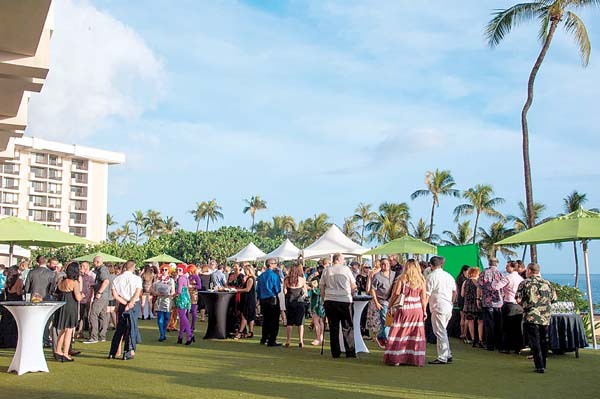 Sheraton Maui Resort & Spa has partnered with Maui Brewing Company, Southern Wine and Spirits, and General Cigar to kick off its inaugural Maui Craft Session event on May 10 on its oceanfront lawn in Kaanapali with legendary Pu’u Keka’a as the backdrop. MACC’s Development Director Carol Gentz tells us that plans are underway for a new Maui Brewers Festival Beer Dinner on Friday, May 17. 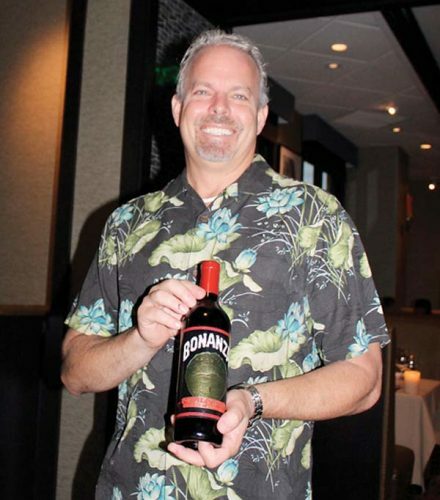 It will the feature fusion cuisine of Cactus Bistro Chef-Owner John Memering with Maui Brewing Co. special craft beers. 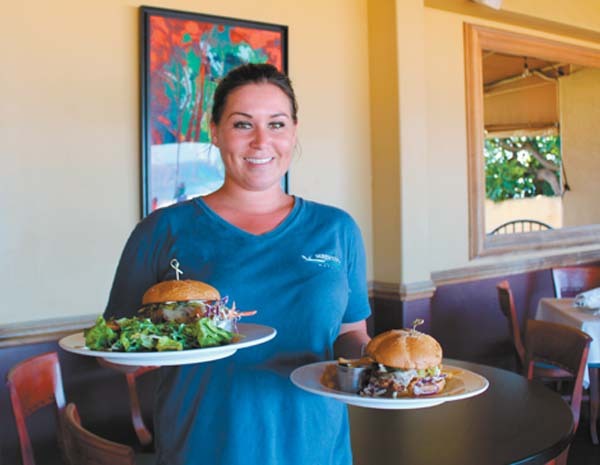 The dinner precedes the Maui Brewers Festival May 18.